Get noticed with our B. Unique line of shaped paper business cards and make sure your card doesn't get lost in the shuffle. 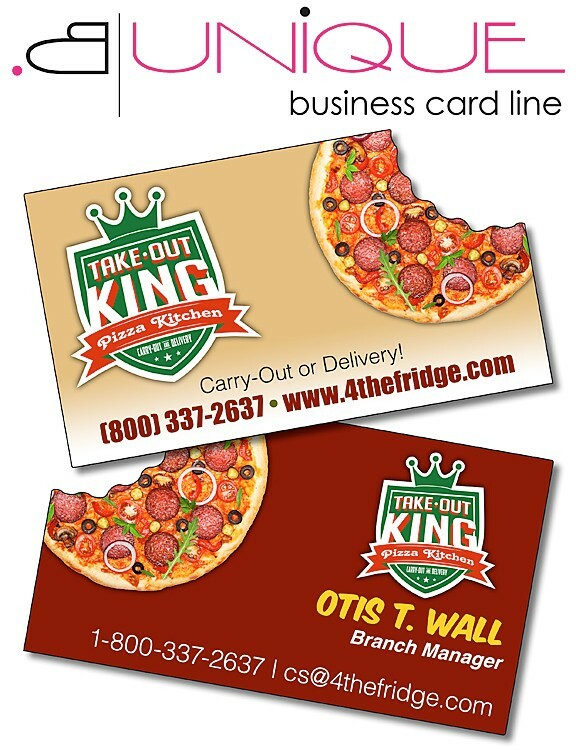 Personalized with your services and your contact information in full-color, extra thick, UV coated business card shapes are a proven marketing tool for keeping your name in front of your clients. Business cards are printed on 14 point paper. Price include printing in full-color (four color process) on one on one or both sides, UV-coating on one side only. Second side UV-coating is available at an additional charge. Exact color matches, metallic or fluorescent colors cannot be printed in full-color (four color process).